MediaCom and Bartle Bogle Hegarty London have won the Grand Prix in the Media Lions category for Tesco's "Food love stories" and, in what was a strong day for MediaCom, the WPP agency brand was also named the Cannes Lions Media Network of the Year for 2018. The Grand Prix-winning Tesco campaign, which features members of the public celebrating their favourite recipe, have been linked to the supermarket’s turnaround in its fortunes. Media used for the drive has included paid digital, outdoor and radio, plus personalised stories to consumers via data targeting. Owned media, including point-of-sale, recipe cards, email, print and digital were also deployed. 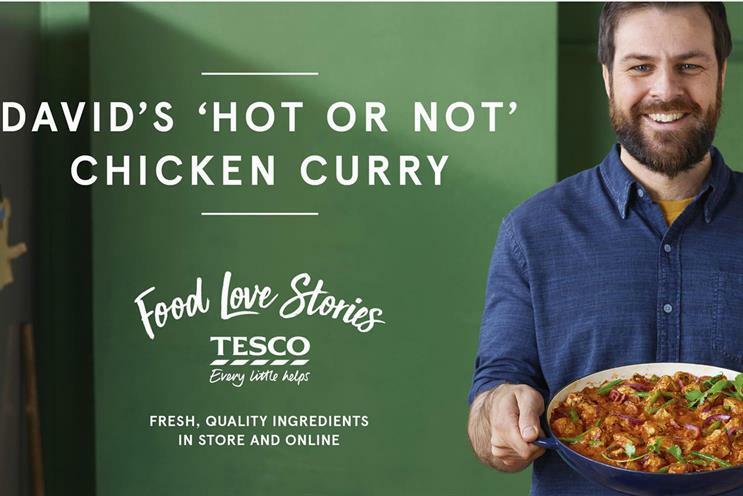 According to MediaCom, the campaign delivered a 53% improvement in quality scores, making "Food love stories" Tesco’s most effective campaign ever. Stephen Allan, worldwide chairman and chief executive of MediaCom, said: "Tesco’s ‘Food love stories’ combines great insight with fantastic business results and demonstrates how our ‘systems thinking’ approach can help brands be both creative and effective in the way they invest their marketing budgets." As well as the Media Grand Prix for its UK arm, MediaCom Israel picked up three Lions for its work with Procter & Gamble’s Gillette. The "Babyface" campaign won a silver by encouraging new fathers to build strong physical bonds with their children by shaving their scratchy beards. "I don’t roll on Shabbos" nabbed both silver and bronze for enabling members of the country’s Orthodox community to buy and use deodorant on the Jewish day of rest. The campaign boosted Gillette’s share of the deodorant market from 3% to 15%, according to MediaCom. OMD Worldwide and Mindshare were second and third in the Media Network award, respectively. There were three golds and three silvers awarded to UK agencies in the Media category. The gold winners were the male suicide awareness campaign "Project 84" for Calm (Adam & Eve/DDB), "Xbox Design Lab Originals: The Fanchise Model" (McCann London) and "80 Days of Argos" (The & Partnership London). The US pulled in 17 Lions, comprising two golds, five silvers and 10 bronzes. Notable winning campaigns included "David Bowie is here" by Spotify (gold) and P&G’s "It’s a Tide ad" (bronze) entered jointly by P&G and Saatchi & Saatchi Cincinnati due to the Publicis Groupe ban on entering Cannes Lions this year.